The stitch pattern on these socks, with its strong linear features and evenly placed circles, reminded me of the Roman Wall in the North of England. The wall has turrets and milecastles appearing at regular intervals along its length. There’s an interesting stretch of wall at Cawfields, hence the name for the socks. Cawfields socks are worked from the cuff down, with a heel flap and gusset construction and wedge toe. 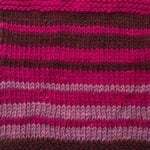 The heel flap is worked in a conventional slip stitch pattern, followed by a half-handkerchief heel turn. 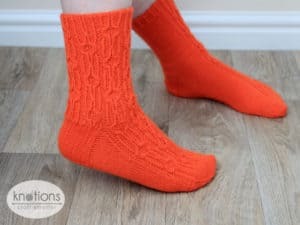 The cabled stitch pattern appears in a panel on the outside of the leg and top of foot, with the design mirrored between the left and right socks. Small (Medium, Large). Shown in size Medium. Actual size: 7 (8, 9)” 17.5 [20, 22.5] cm circumference. To fit: 7.5 (8.5, 9.5)” 19 [21.5, 24] cm foot circumference, US women’s shoe sizes 5-6 (7-8, 9-10). 32 sts and 44 rows = 4” [10 cm] in St st after wet blocking. CO 60 (68, 76) sts. Join to work in the rnd, being careful not to twist. Distribute the sts as preferred. [P1, k1tbl, p2, k2tbl, p2, k1tbl, p1] two times, p1, k1tbl, [p2, k1tbl] two (four, five) times, p4 (0, 2), [k1tbl, p2] two (four, five) times, k1tbl, p1, [p1, k1tbl, p2, k2tbl, p2, k1tbl, p1] two times. 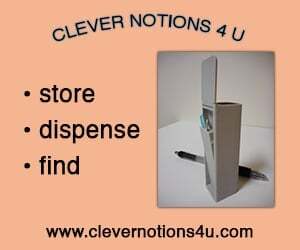 P2 (0, 1), [k1tbl, p2] two (four, five) times, k1tbl, p1, [p1, k1tbl, p2, k2tbl, p2, k1tbl, p1] four times, p1, k1tbl, [p2, k1tbl] two (four, five) times, p2 (0, 1). Rep Rnd 1 nine more times. P1, work Chart A, p2, work Chart B, p2, k18 (26, 34), p2, work Chart A, p2, work Chart B, p1. K9 (13, 17), *p2, work chart C, p2, work Chart D, rep from * once more, p2, k9 (13, 17). Cont in patt as est until Rnds 1-20 of charts have been worked a total of 3 times. Now work back and forth on first 30 (34, 38) sts. Row 1 (RS): *Sl1p wyib, k1, rep from * to end. Row 2 (WS): Sl1p wyif, p to end. Work Rows 1-2 a further 14 (16, 18) times. Row 1 (RS): Sl1p wyib, k14 (16, 18), ssk, k1. Turn. Row 2 (WS): (same for all sizes) Sl1p wyif, p1, p2tog, p1. Turn. Row 3: Sl1p wyib, k to 1 st before gap, ssk, k1. Turn. Row 4: Sl1p wyif, p to 1 st before gap, p2tog, p1. Turn. Rep Rows 3-4 until all heel sts have been worked. 16 (18, 20) heel sts rem. Sl1p wyib, k15 (17, 19), pick up and ktbl 15 (17, 19) sts up side of heel flap, pick up and ktbl 1 st in corner to avoid creating a hole, pm, k9 (13, 17), p2, work Chart A, p2, work Chart B, p1, pm, pick up and p 1 st in corner to avoid creating a hole, pick up and ktbl 15 (17, 19) sts down side of heel flap, k8 (9, 10). Pm for new start of rnd at center of sole. Sl1p wyib, k15 (17, 19), pick up and ktbl 15 (17, 19) sts up side of heel flap, pick up and p 1 st in corner to avoid creating a hole, pm, p1, work Chart C, p2, work Chart D, p2, k9 (13, 17), pm, pick up and ktbl 1 st in corner to avoid creating a hole, pick up and ktbl 15 (17, 19) sts down side of heel flap, k8 (9, 10). Pm for new start of rnd at center of sole. Total 78 (88, 98) sts; 30 (34, 38) of top of foot and 48 (54, 60) on sole. Gusset Rnd 1: K to 3 sts before m, k2tog, k1, sm, work in patt to m, sm, p1, ssk, k to end. 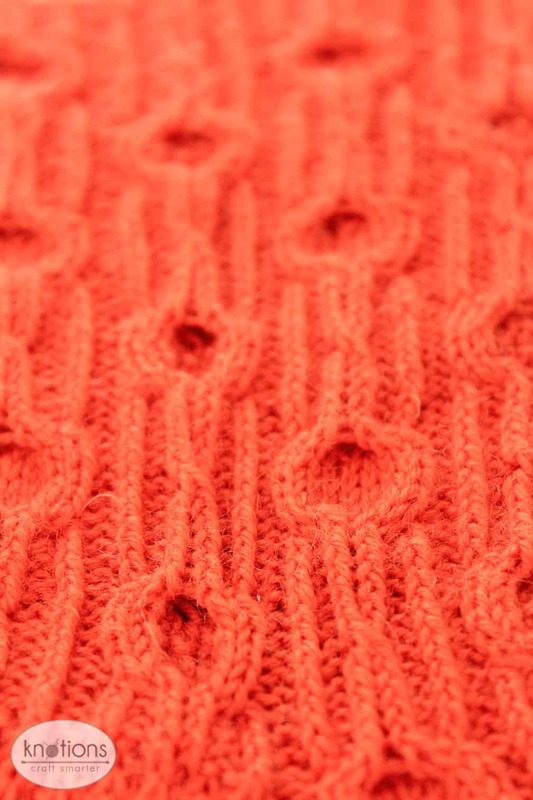 Gusset Rnd 2: K to m, sm, work in patt to m, sm, p1, k to end. Gusset Rnd 1: K to 3 sts before m, k2tog, p1, sm, work in patt to marker, sm, k1, ssk, k to end. Gusset Rnd 2: K to 1 st before m, p1, sm, work in patt to m, sm, k to end. Rep Gusset Rnds 1 and 2 until 60 (68, 76) sts rem; 30 (34, 38) sts each on sole and top of foot. 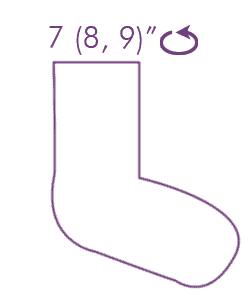 Work even in patt as est until sock measures 6.5 (7.5, 8.25)” or 17 [19, 21] cm, or 2” or 5 cm less than the desired foot length, ending after Rnd 9, 10, 19 or 20 of charts. Rep Rnds 1 and 2 until there are 32 (36, 40) sts. Rep Rnd 2 until there are 20 (20, 20) sts. Cut yarn leaving a 12” or 30 cm tail. 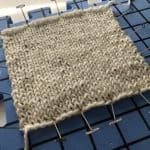 Graft sts together using Kitchener stitch. Rnd 4: K1 tbl, p2, 1/1 RT, p2, k1 tbl. Rnds 5-10: K1 tbl, p2, k2 tbl, p2, k1 tbl. Rnd 11: 2/2 RC, 2/2 LC. Rnd 12: K3, p1, k1, p1, k2. Rnd 13: K2, p1, k1, p1, k3. Rnds 14-15: Rep Rnds 12-13. Rnd 16: Rep Rnd 12. Rnd 17: 2/2 LC, 2/2 RC. Rnds 18-20: K1 tbl, p2, k2 tbl, p2, k1 tbl. Rnd 7: 2/2 LC, 2/2 RC. Rnds 8-13: K1 tbl, p2, k2 tbl, p2, k1 tbl. Rnd 14: K1 tbl, p2, 1/1 RT, p2, k1 tbl. Rnds 15-20: K1 tbl, p2, k2 tbl, p2, k1 tbl. Rnds: 8-13: K1 tbl, p2, k2 tbl, p2, k1 tbl. Rnd 14: K1 tbl, p2, 1/1 LT, p2, k1 tbl. Rnd 4: K1 tbl, p2, 1/1 LT, p2, k1 tbl. Rnd 12: K2, p1, k1, p1, k3. Rnd 13: K3, p1, k1, p1, k2. 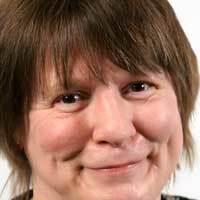 Helena Callum lives in southern Scotland. 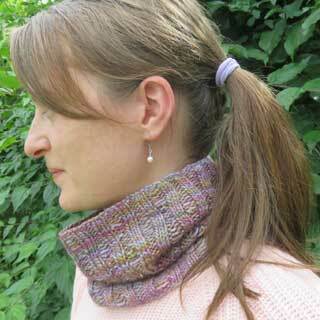 She enjoys knitting and designing accessories, especially socks. 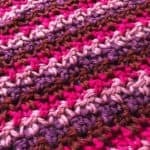 As someone who likes to knit whilst watching television, she aims to write patterns with just enough repetition for a knitter to keep up with the TV plot whilst avoiding too many mistakes in their work. 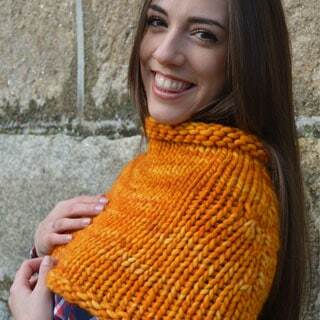 You can find her designs on Ravelry and at helenacallum.com.